We congratulate Víctor Fernández Hurtado. This multidisciplinary suggest replacing the labor-intensive, occasionally biased and costly PCR method currently used for the detection of genetic cancerigenous markers with a simple, non-PCR based DNA quantification method. The suggested system will exploit the ability of acoustic waves in the surface of quartz resonators to probe the hydrodynamic shape of surface-bound molecules, rather than its mass. The scientific challenge to be addressed is to push the limit of detection to the zM range obviating the need to use a polymerase for DNA amplification. The technological challenge is to fabricate ultra sensitive acoustic devices and capture with high efficiency very low numbers of DNA present in a complex medium on the device surface. These ambitious goals will be achieved by developing novel probes with liposomes and nanoparticles of tailor-made sizes and shapes for enhanced acoustic response; exploiting high frequency acoustic devices up to the GHz range; and, employing magnetic beads with microfluidics for specific target-capturing and enrichment. The proof-of-principle will be demonstrated during the detection of circulating-tumor DNA (ctDNA), currently an area perceived by cancer researchers as the “Holy Grail” of future cancer diagnosis, prognosis and treatment. We intend to validate our integrated acoustic platform towards the detection of common mutations occurring in colorectal and lung cancers, i.e., KRAS, EGFR and BRAF in serum. We anticipate that the “CATCH-U-DNA” concept will set the foundations for a simpler, more sensitive and affordable diagnostic method, from which patients in both the developed and developing countries will greatly benefit. The consortium involves 7 groups (FORTH (Crete), BGU (Israel), AWS (Valencia), UOC (Universitary Hospital at Crete), Curie Institute (Paris), JOBST (Friburg) and UAM (Madrid). The UAM group leaded by the IFIMAC member Rafael Delgado-Buscalioni in the Department of Theoretical Condensed Matter Physics, is in charge of the theoretical description of the probe dissipation, using hydrodynamic simulations to propose new ways to improve the sensitivity by increasing the dissipation. The detection of extremely low concentrations of DNA using ultra-sensitive acoustic probes targets will push the detection limit down to the zM range without PCR, produce highly selective and specific isolation of ctDNA targets in serum with the fluidized bed technology towards the final target: Demonstrate the simultaneous detection of 48 colorectal and lung cancer mutations from ctDNA. We congratulate Prof. Rafael Delgado-Buscalioni. The Autonomous University of Madrid appears as the first one in the ranking of universities conducted by the newspaper El Mundo to pursue the career of Physics. Prof. Francisco J. Garcia-Vidal – IFIMAC Director and professor at the Department of Theoretical Condensed Matter Physics.. Highly Cited Researchers from Clarivate Analytics is an annual list recognizing leading researchers in the sciences and social sciences from around the world. The final new list contains about 3,400 Highly Cited Researchers in 21 fields of the sciences and social sciences. The 2017 list focuses on contemporary research achievement: only Highly Cited Papers in science and social sciences journals indexed in the Web of Science Core Collection during the 11-year period 2005-2015 were surveyed. Highly Cited Papers are defined as those that rank in the top 1% by citations for field and publication year in the Web of Science. In the list of Physics, in which Prof. Garcia-Vidal has been selected, only five researchers working in Spanish institutions have been included. Clarivate 2017 compilation of researchers list. We congratulate Prof. Francisco J. Garcia-Vidal. The award of IUPAP Young Scientist Prizes in Atomic, Molecular, and Optical Physics recognizes the recipients outstanding contribution to the areas of physics within the remit of the Commission. The Prize includes a certificate, a medal, a EURO 1,000 award and an invited presentation at ICPEAC. 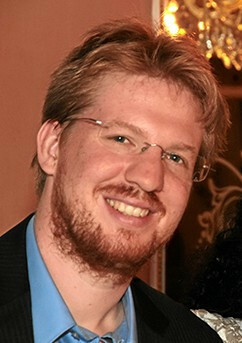 Dr. Johannes Feist received his Ph.D. from Vienna University of Technology in 2009 and afterwards was awarded the ITAMP postdoctoral fellowship at the Institute for Theoretical Atomic, Molecular and Optical Physics (ITAMP) at the Harvard-Smithsonian Center for Astrophysics and Harvard University. 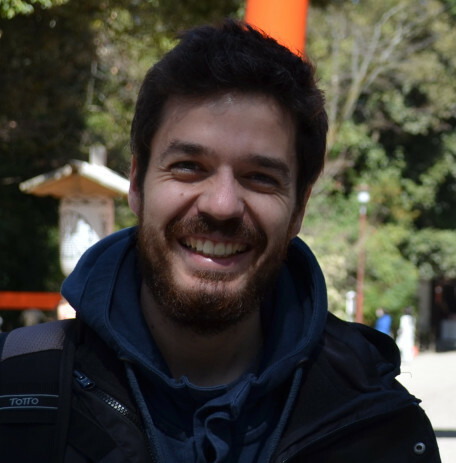 In 2012 Johannes joined to the group of F. J. García Vidal as a senior postdoc at the Department of Theoretical Condensed Matter Physics at the Universidad Autónoma de Madrid, and in 2017, he started a tenure-track position as an IFIMAC Young Researcher at the Condensed Matter Physics Center (IFIMAC) in the same university. His current research focuses on the influence of strong light-matter coupling on the properties of organic materials. In this regime, the interaction between transitions in emitters and conﬁned light modes becomes strong enough that the elemental excitations of the system become hybridized light-matter states, so-called polaritons. This can lead to changes in material properties and even significantly modify chemical reactions. Johannes has made a number of significant contributions to this rapidly growing field, and in particular developed a theory combining molecular physics with cavity QED that can treat polaritonic chemistry by extending the concept of molecular potential energy surfaces to the strong-coupling regime. Based on this work, he has been able to show that nuclear motion in separate molecules could become correlated through their common interaction to a single light mode, as well as that photochemical reactions can be significantly suppressed or novel reaction channels opened under strong light-matter coupling with organic molecules.